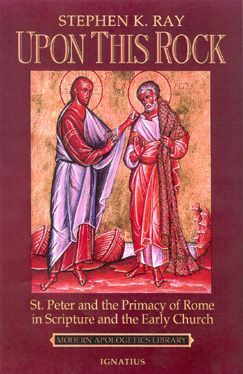 The papacy, defined as "the ministry of a supreme pastor with the power of jurisdiction to maintain universal unity and orthodoxy within the Christian church," was created by Christ, through the apostle Peter, and this ministry was thereafter succeeded to by the bishops of Rome. "And I say to thee, thou art Peter, and upon this rock I will build my Church, and the gates of hell shall not prevail against it. And I will give thee the keys of the kingdom of heaven; and whatever thou shalt bind on earth shall be bound in heaven, and whatever thou shalt loose on earth shall be loosed in heaven."